Planners will hear an application by the National Trust to build two new toilet blocks at the foot of England’s highest mountain. The conservation charity has submitted plans to the Lake District National Park Authority for the facilities at Wasdale Head and Lake Head. The application will be considered by the authority’s development control committee on 6 March. The trust said the toilets are needed for the quarter of a million visitors who come to Wasdale each year. Wasdale is the starting point for many walkers setting off for Scafell Pike and other peaks in the central fells, and is also the site of England’s deepest lake, Wast Water. 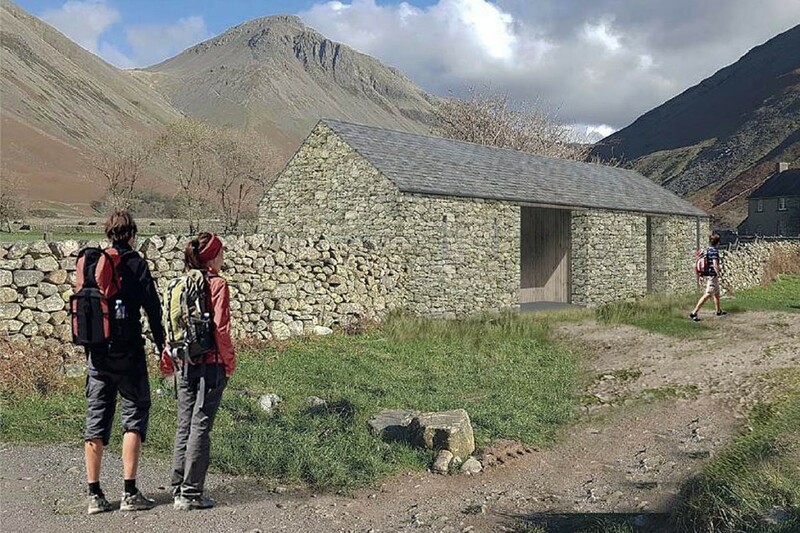 The National Trust is proposing seven toilets at Wasdale Head in a 50 sq m building next to the car park, forming part of a field wall. It said: “Building materials blend into the landscape and are sustainably and locally sourced. At the National Trust’s campsite Lake Head, the proposal is for 11 toilets within a 64 sq m building. “It’s taken a number of years to get to the right solution. We looked at ease of access, practicality and, most importantly in this very special valley, something that would cause the least overall impact. 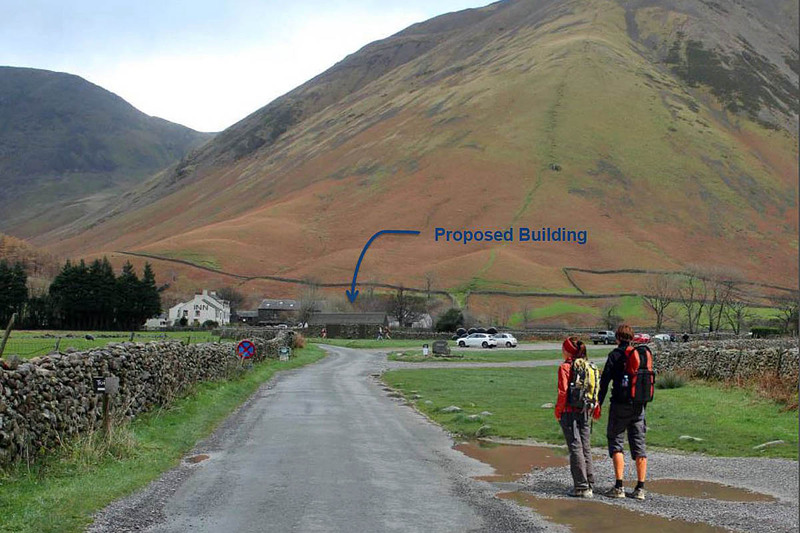 “As Wasdale Head in particular, there is no perfect location for a new building. But there is a clear need for toilets. We have involved experts and shared our plans with our community and on our website. The charity said Wasdale is one of the most visited, beautiful and remote Lake District valleys and the toilet blocks will bring long awaited benefits to the valley and the 250,000 people who visit it. If planning permission is granted and funding secured the National Trust expect work to start in September 2019 and opening for Easter 2020. So where at great expense will they fly the stone in to face the toilet block using a Helicopter. Probably Wales as Coniston has too many stones in Wasdale and none spare. Too many questions not enough answers! Along with new toilets there usually comes.....car parking charges. Notice how frequent they mention the number of visitors....quarter of a million times...."Is it Glenridden that's £7 to park for the day? Mmm... £7 per day = £1,750,000 per year Yum Yum that'll do nicely. Will they be maintained? So often they are not and then turn into a disgusting place to use. Whatever they build, got to be better and cleaner than the existing portacabin. As to paying for parking. If part of the charges go to their upkeep, worth it. So they might charge. £7 or £10 for 24 hours. Who knows. But why does everyone blow hard about paying for parking in the Lakes. You are out for a full day, enjoying the finest scenery in England and let’s say you are with a friend, and you are out for 6 hours. So you have to pay £10. Split with your friend, Sounds great value to me. Do the same people complain about paying for parking in town centres?? The building looks like any Lakes shed, so fine. I am very supprised the National Trust, given its "on message" new image, did not go for a two acre steel and glass monstrosity. National Trust car parks are good value; I get the full value of my annual membership every year from Lake District parking! Jim Breen above comment above, yes they need maintained but it is the people who use them that abuse them and make them disgusting. Would they leave their own toilet in such a mess at home. Jim Breen comment above, yes they need maintained but it is the people who use them that abuse them and make them disgusting. Would they leave their own toilet in such a mess at home. Parking charges are OK for occasional day trippers, but what about the locals who want to take a regular stroll from one of these car parks or the overnighters heading into the hills for a bivvy? To go with this should be signage about being prepared for the hills. Loads of jeans and trainers today on the Wasdale path up SFP. Full winter conditions above 700m. Only winter-equipped people were coming from Seathwaite or Langdale.